Bruce has never performed "Move on up" live in full, but he occasionally played a snippet of it in the midsection of "Tenth avenue freeze-out" during The Reunion Tour. He also played part of "Move on up" as an outro to "The E street shuffle" during the 2000 and 2001 Asbury Park holiday shows. 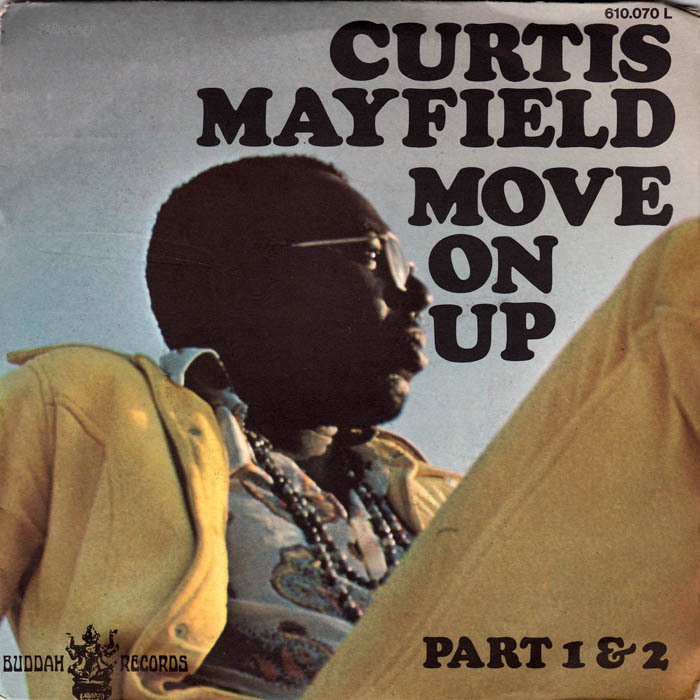 "Move On Up" is a song by Curtis Mayfield from his 1970 debut album Curtis. Nearly nine minutes long on the album version, it was released as a single in the United States but failed to chart. 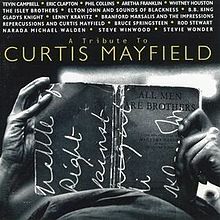 An edited version of the song spent 10 weeks in the top 50 of the UK Singles Chart in 1971, peaking at #12, and it has become a soul music classic over the years. Just Blaze heavily sampled the song for Kanye West's 2006 single "Touch the Sky", using a slowed down version of the horns.